The National Highway Transportation Safety Administration (NHTSA) recently released two studies that show changing trends in the number of people driving under the influence of alcohol and driving under the influence of drugs. The news related to drunk driving is positive, but there are troubling findings about those who take drugs and then get behind the wheel. The number of drivers with alcohol in their systems decreased by 27 percent from 2007 to 2014. About 1.5 percent of weekend nighttime drivers had breath alcohol concentrations (BACs) of 0.08 percent or higher and about 8.3 percent had some level of alcohol in their systems. The percentage of weekend nighttime drivers who tested positive for at least one drug increased from 16.3 percent in 2007 to 20 percent in 2014. About 12.6 percent of these drivers had evidence of marijuana in their systems in 2014 compared to 8.6 percent in 2007—a nearly 50 percent increase. Drivers with BACs of 0.08 percent—the legal limit in every state—were four times more likely to cause a crash than sober drivers. Drivers with BACs of 0.15 percent were 12 times more likely to cause a crash than sober drivers. Drivers with marijuana in their system were 25 times more likely to cause a crash than those with no evidence of marijuana use. The study concluded that the increased risk in crashes for marijuana use could be due in part to the fact that these drivers—young men—were already at a higher risk of causing a crash. NHTSA believes further study of drug use and driving is important given that more states are legalizing marijuana. 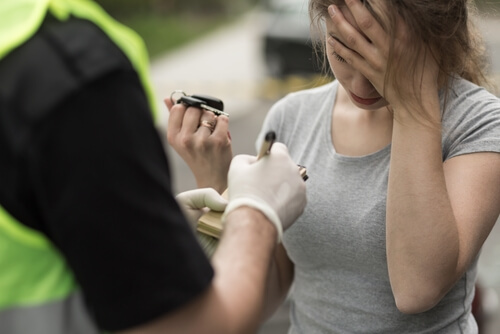 The bottom line is that drivers who drink alcohol or take drugs and then drive cause car crashes, resulting in serious injuries or, in some instances, wrongful death to their victims. Have you or a family member been in an accident caused by a drunk or drugged driver? Are you considering taking legal action against the driver? Our experienced legal team is here to explain your legal options and help you get the compensation and results you could be entitled to. Call us at (817) 380-4888 to schedule a free consultation.